We are doing so many things for so many people, but at the end of the day, we feel drained and empty. If I’m so busy, why am I not more productive? How can I leave behind this busy life, when so many people count on me? How can I find the peace and purpose I’ve been longing for? I'M CHOOSING BEST OVER BUSY. 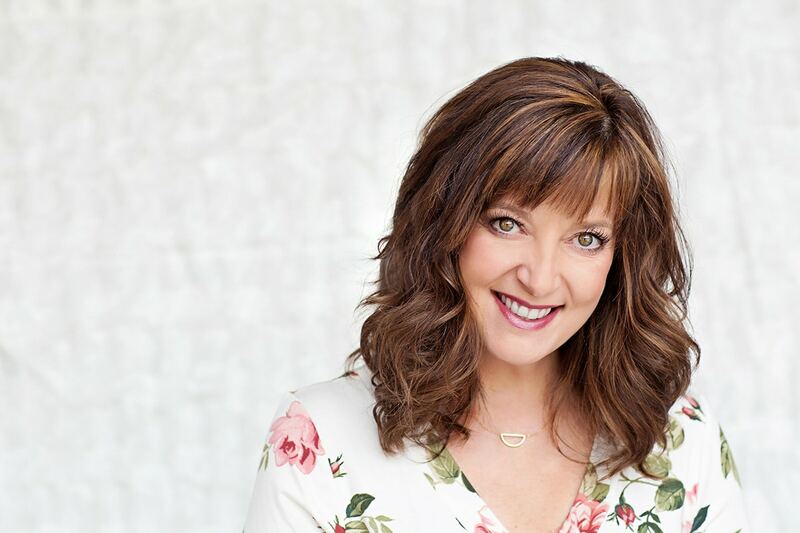 Hi, I’m Jennifer, your Surrender Mentor. ACT NOW. LIMITED TIME OFFER! This challenge is available for one week only in 2018 — September 24 through October 1. Reserve your place by ordering your affordably priced kits today. We created special price tiers for you and your friends, for as low as $19 per person (valued at $50) That’s a 64% discount. 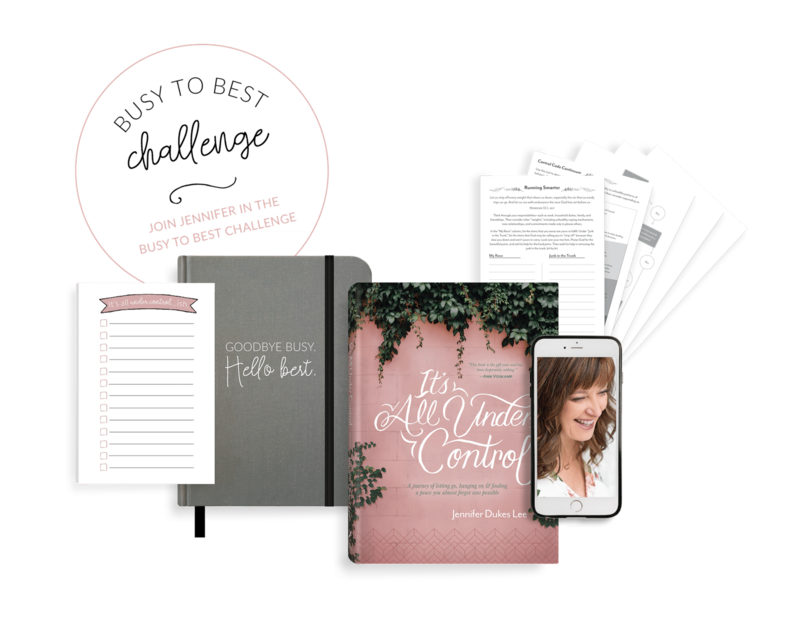 Grab your girlfriends, your book club, your Bible study group ... and order now! I ALREADY OWN THE BOOK! Decide how many women will join you, and then place your order on our affordably priced kits. In September, look for your kit in the mail with everything you need for The Busy to Best Challenge: books, journals, notepads, worksheets, and more, for you and every other woman in your group. 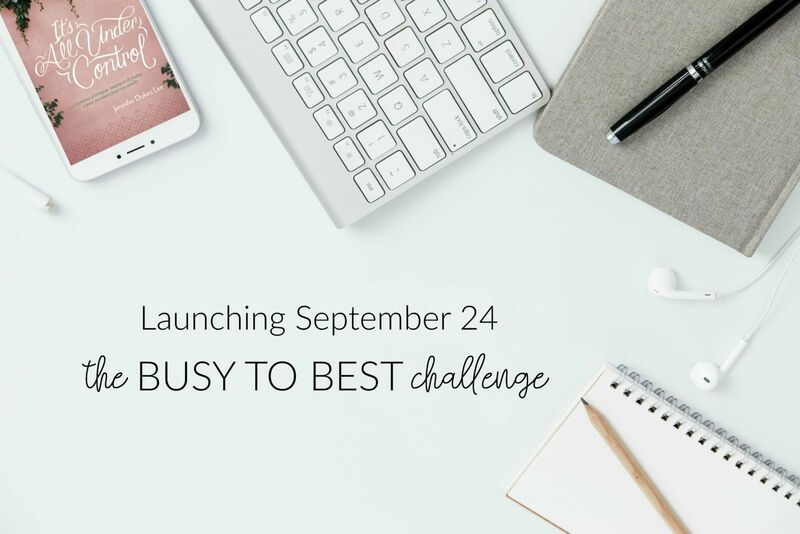 Gather up your challenge pals for a fun kickoff gathering on Monday, September 24. Pick the time and place that best suits your group! I'll join you via an opening video session, and then you will answer questions as a group. 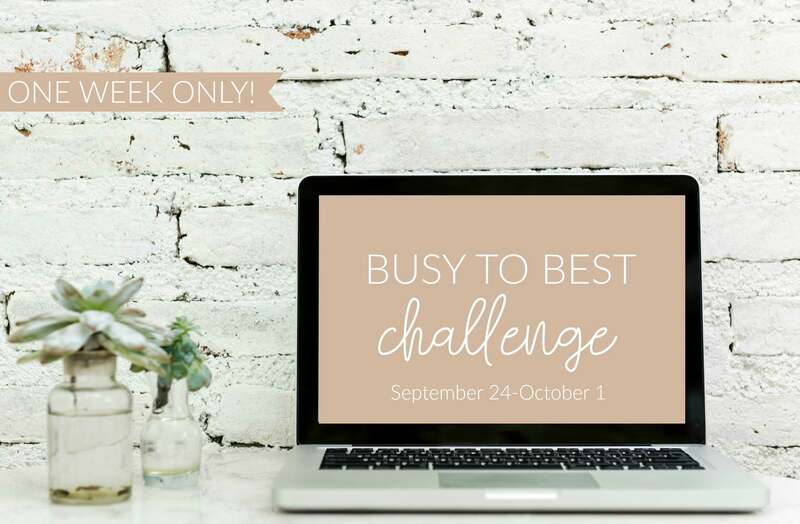 For the next several days, work through the challenge using my step-by-step instructions, readings, worksheets, tools, and a private Facebook group where I am offering LIVE access and encouragement every day. Each exercise is carefully designed to help you figure out what to "do, delegate, and dismiss." On Monday, October 1, you and your pals will get together again at the time and place of your choice. You'll watch a closing video from me, and we'll celebrate how you have successfully transitioned from Busy to Best!